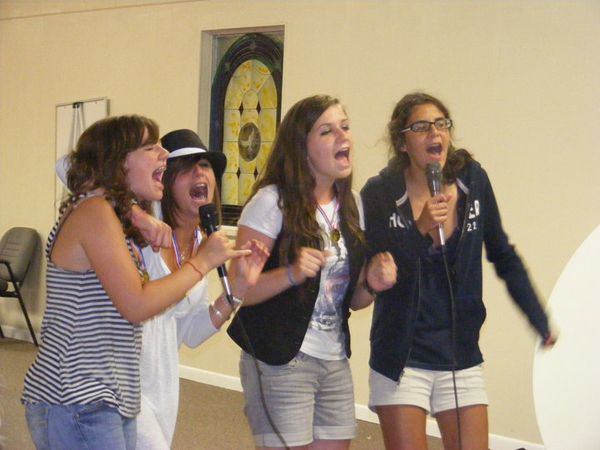 French exchange students enjoy an evening of karaoke while visiting the local area last summer. Host families provide a welcome place for them to stay. Education Homestay Programs (EHP), a nonprofit division of Education First (EF) is sponsoring 36 Chinese students ages 9-12 this summer to stay in the Brandon/Valrico/Lithia area. It is looking for host families who would be interested in housing these students from Thursday-Saturday, July 14-July 30. The programs offer daily language and culture lessons that are combined with fun afternoon activities, as well as some optional weekend excursions. The students come with their own spending money and insurance. Host families provide a bed, meals and transportation. During evenings and weekends, each student spends quality time with their host family. This special time spent together leads to a better understanding and appreciation of each other’s culture. The students will be traveling with two Chinese course leaders who will also need host homes so, a total of 38 host families are needed. If you have a high school student, they can receive community service hours for hosting a student in your home. For more information on EHP, visit www.ef.com. For more information on hosting for this local summer program, please call Woodward at (813) 833-9923 or e-mail her at dev@woodwardsearchgroup.com.